David is a leader in organizational performance and human resource management, with more than 25 years’ experience helping Companies change and grow. He came to the HR function after holding senior commercial roles and joined Phlexglobal as HR Director in June 2018 to lead our efforts building the organisational capability we need to deliver our growth plans. 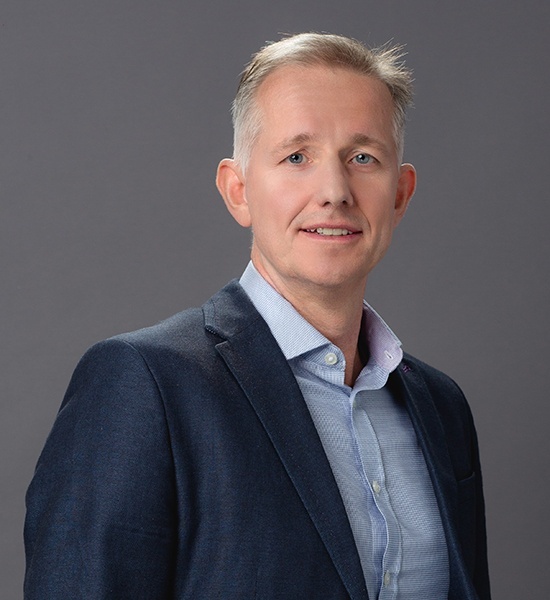 Prior to joining Phlexglobal, David was Chief People Officer at WDS, a technology enabled service provider in the Telecoms sector where, as part of their leadership team, he helped grow and scale the business profitably over a 10-year period, leading to an acquisition by Xerox. David developed his understanding of how people can impact business performance in a variety of commercial roles. These included European General Manager at WDS, COO for a technology business based in Helsinki and various roles at Cable & Wireless, including Business Development, M&A and Change Management based in London, Latvia and Singapore. During this period, he was part of a development programme that included an MBA at Henley Management College in the UK. David is a member of the Chartered Institute of Personnel and Development (CIPD).